Daddy, Where are You? is a valuable tool to help children cope with an unexpected and unexplained death. It's a beautiful true story of little Taylor who must begin a new game of hide and seek with his deceased father and finds that love is eternal. A must have for anyone who has lost someone special! 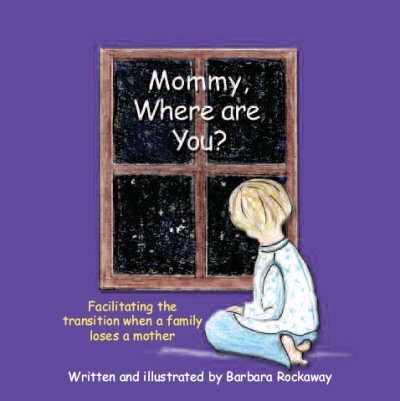 About the Author: Barbara Rockaway wrote and illustrated this moving book when her godson, Timm, died unexpectedly in 2001. She wrote if for his young son Taylor and the new son, Timmy, he never met. Pre-Order Daddy, Where are You? Today! Mommy, Where are You? was written to help young children faced with the death of their mother. It was designed to help them learn to feel her presence, love and support at times when they were most likely to feel her absence. About the Author: Mommy, Where are You? 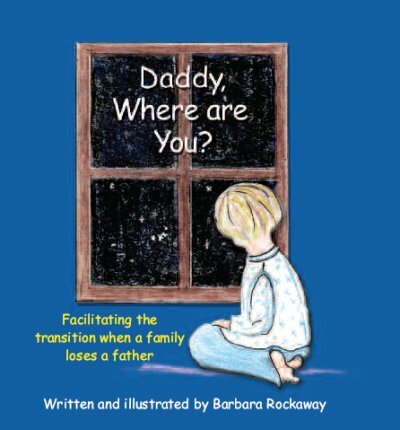 is Mrs. Rockaway's second book in this series, with the first being Daddy, Where are You?. Barbara Rockaway wrote and illustrated this moving book when her godson, Timm, died unexpectedly in 2001. She wrote if for his young son Taylor and the new son, Timmy, he never met. Pre-Order Mommy, Where are You? Today!